Renting properties can be a good source of income for the landlords and also an opportunity to bond with your tenants and live like a family. However, pro-tenant laws in India make it difficult for the landlords to entrust their property in the hands of their tenants who may refuse to vacate the property and demand permanent occupation of the property. Even if someone were to move the court, it may take up to 10 years or more before the court can come to a definitive solution. 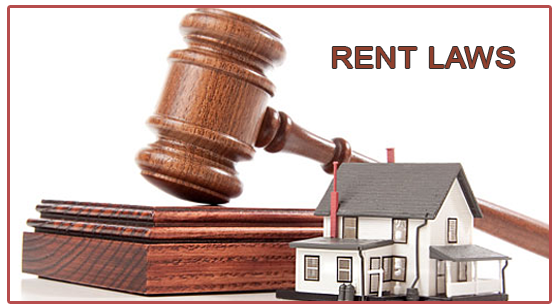 In rent cases, the landlords prefer lease and license agreement, which is valid for a period of 11 months and, there is an option of renewal after the mentioned period. However, the rent laws have been in the favor of tenants, which make it difficult to rent out your property without proper background checks and police verification. But the landlords should know what the rent laws entail so that they can protect themselves in case their tenants are giving them a tough time. • To make sure that the tenants are genuine, a security deposit of three months is required, which is refundable when the tenant vacates the house. Until the deposit has been returned to the tenant, which is usually a month, then an interest will be levied on a per diem basis on that unpaid security deposit. • The lease and license agreement is the easiest arrangement between the landlord and the tenant. All the clauses are clearly mentioned in a contract, and if either party wishes to terminate that contract prematurely, then they need to give a notice period of at least 3 months in advance. • The agreement also prohibits subletting the house by the tenants so that the landlords can prevent overstaying of the tenants. • It is better to have well defined contracts in place rather than depending on the courts to give you a resolution. It can take years before the decision is finally. You can involve a good quality lawyer and have him draft a binding contract. • The eviction of tenants can take up to 10 years or more. This is the reason it is advisable to enter in an agreement only after getting the contract drafted and sensitizing the tenants that in an event they refuse to vacate, landlord has a greater chance of winning the case. The rent laws in India are very ineffective and archaic. This is the reason there are more and more cases of tenants taking an unlawful control of the property and the landlord’s inability to get them evicted. In this case, you are advised to hire a lawyer like Advocate in Chandigarh who will help you in putting all your complicated papers together, and also, build a strong contract so as to protect your rights and avoid any such sticky situations. The main idea behind getting a lawyer is to have the terms and conditions of the agreement clearly stated in the contract so that both the parties can benefit equally.